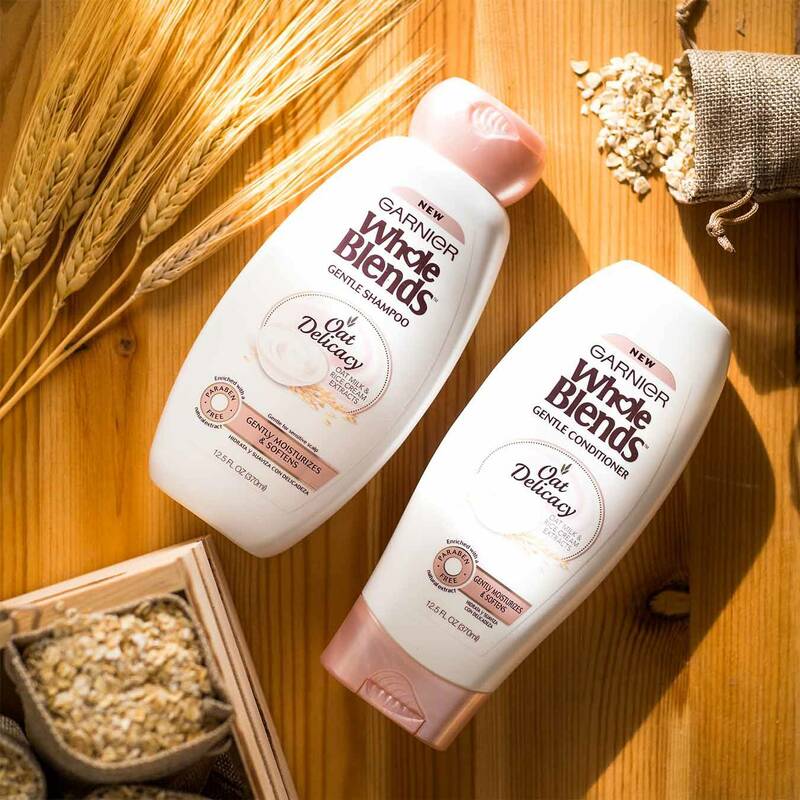 Our Garnier Whole Blends gentle shampoo formula blooms with the powdery-soft fragrance of Oat Milk & Rice Cream, bringing to life our wholesome, nourishing care for weightless hair. Massage into wet hair, lather and rinse thoroughly. Follow with our Gentle conditioner. Rated 4 out of 5 by codebloodedb from I like this shampoo it's a real step up from all the other shampoos I have tried to use for my dry scalp. I have had a lot of dandruff lately and even more now that I cut my hair recently! It's crazy. However I started using this shampoo and I am not going to say it went completely away but it did reduce it a whole lot! So this is my current shampoo and I would definitely recommend it since it is slowly working for me. The smell isn't as strong, it doesn't over hydrate my scalp it is just right. Rated 5 out of 5 by cassielynn44 from This has become a favorite as of late! Love the simplicity and feel of the shampoo. Leaves my hair feeling soft and silky without any buildup so far. The light scent is nice and my scalp feels so nice. I have noticed less itching and flakes the more I use this which means its moisturizing my scalp nicely. We have just recently been using this brand and we all have our favorites out of this family of shampoo. 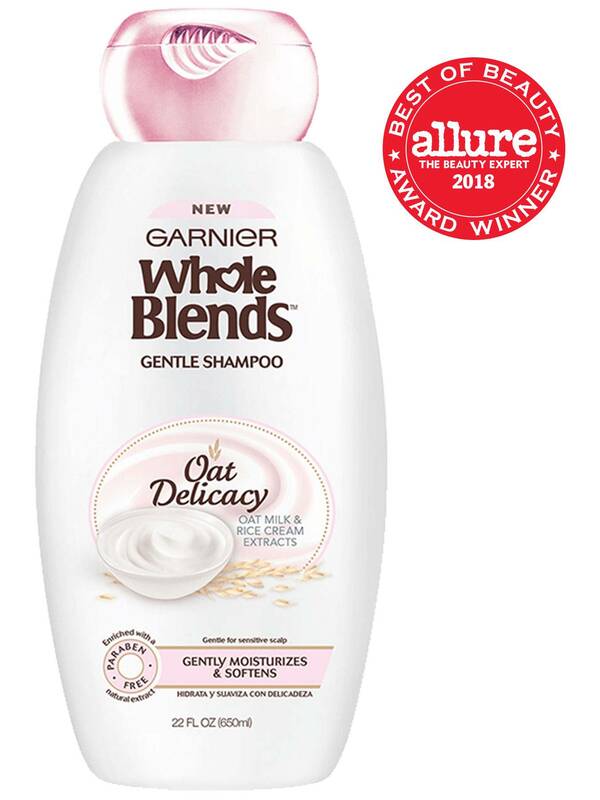 Rated 5 out of 5 by Laucul from Love the oat delicacy shampoo Perfect for my fine hair. Could not be happier with it. 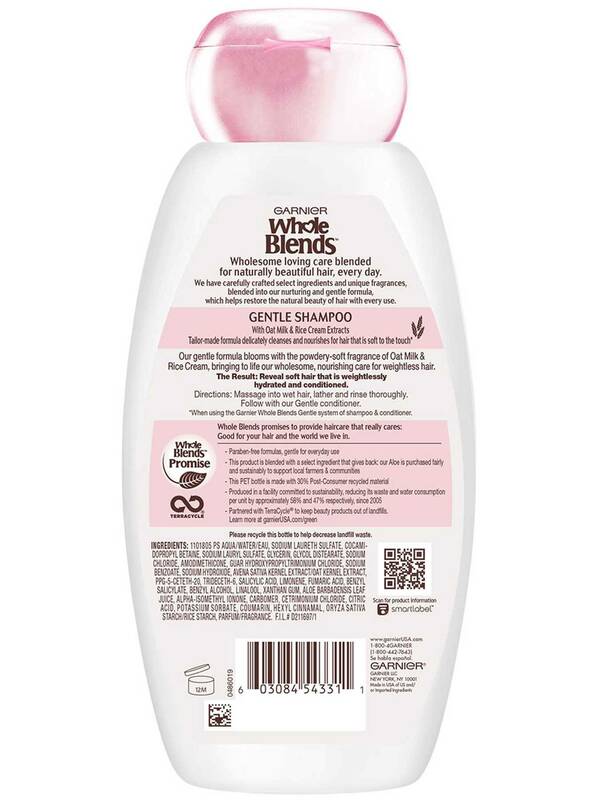 Cleans without weighing my hair down, leaving it soft, healthy, easy to manage. Rated 5 out of 5 by annae8 from This shampoo has changed my life. It leaves my hair super soft and gives it a beautiful shine. Love the smell and the cute pink detailing on the packaging. Works great when you pair it with the conditioner.